Its that time of the year when Microsoft rolls out Windows 10 feature updates to the general public. Codenamed Redstone 4, the Windows 10 April 2018 update is now ready to launch to the public. 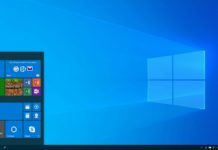 It was originally called the Spring Creators update but for some reason, Microsoft decided to go with “Windows 10 April 2018” update, which is still not a good name as the name says “April update” but the rollout is happening at the end of April and most users will get the update only in the coming months as this is a gradual rollout. Anyway, after more than half a year of testing under the Windows Insider branch, it is finally rolling out to people all over the world. As with all major Windows updates, this too has its major share of features. Read this article to find the best and noteworthy features in Windows 10 April 2018 update. 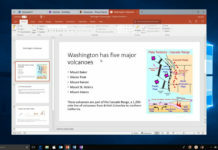 Windows Timeline is the biggest and best feature of the April update. Timeline takes productivity and ease of use to the next level. Timeline feature was originally supposed to roll out with the Fall Creators update since it was given to the insiders to test in the Fall Creators update. But it didn’t come with the Fall Creators update and Microsoft decided to further develop it to make it as good as possible. Let’s just say they did a great job. Windows Timeline is essentially the Task View with a history feature added on to it. Let’s think about a Web browser. You can see the open tabs and if you want to see previously opened tabs, you can go to the web history. In Windows Timeline, you can see all your open applications in addition to all the previously opened applications which was opened in the last 30 days. So you would be able to see what all you did in the last 30 days in chronological order. It also shows these in order of a main day view and also hours in subview. With Timeline, you can sync all the tasks that you did with your iOS or Android device, provided these devices are logged in with the same Microsoft Account as your PC. As of now, only Microsoft Edge for Android supports this feature but it can be enabled to any application if the developer is willing. On clicking the Timeline button, which replaces the Task View button, Windows will show you a list of all your activities across devices logged in with the same Microsoft account. It shows your activities and tasks from Microsoft Edge, Office, and other UWP apps. This makes it easy to go back to an Office document which you last opened 2 weeks ago. 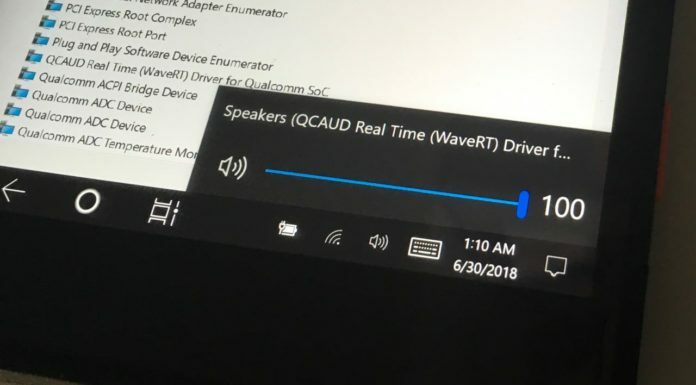 The sad thing is that this feature is not yet available for the most popular browser, Google Chrome, or any other third party Win32 applications but it is available for all UWP applications. Since this is a new feature, it will take time for developers to implement this feature in their applications. Nonetheless, this is the best feature of Windows 10 April 2018 update. For years, it has been difficult to share files across PCs. Microsoft finally decided to address this issue with “Near Share”. In fact this is Microsoft’s answer to Apple’s Air Drop. 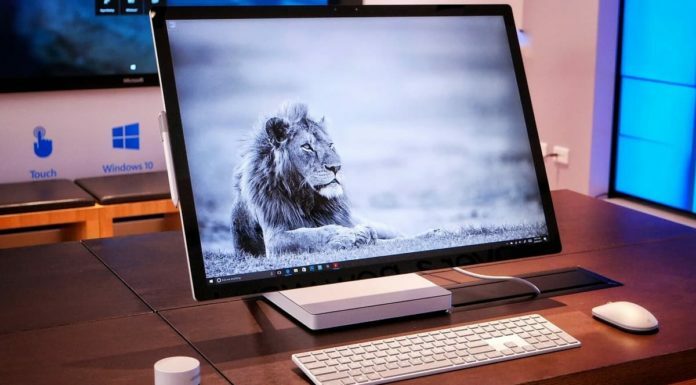 It uses Bluetooth and Wi-Fi to transfer files and links to other PCs wirelessly. It can be enabled in the Shared experiences option under System in the Settings app. Once enabled, it can be used to transfer any files from any app that supports sharing option. 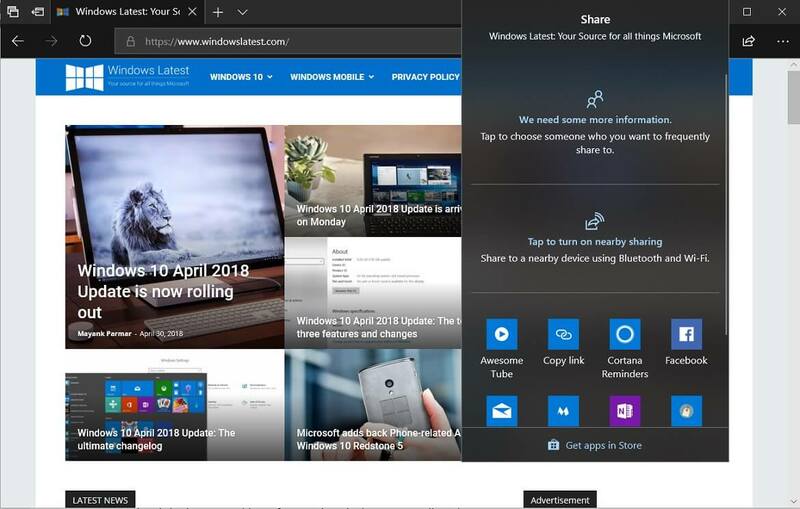 You can share Photos to other nearby PCs from the Photos app, share Web links from Microsoft Edge and even share any file directly from the File Explorer. When you click the Share button, the names of the nearby PCs will appear in the Window and you can simply click the desired PC name to begin sharing. One thing missing in Near Share is its ability to work across Android and iOS devices. This would make it really easy to transfer files from PCs to phones. We can hope that Microsoft adds this functionality to Near Share. That said, Near Share is a much welcome feature and we can say that it is the second best feature in Windows 10 April update. 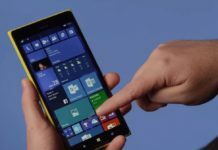 Microsoft hoped to address its app gap with Universal Windows Platform(UWP) but it didn’t work out, probably because of Windows 10 Mobile being so unattractive to people and developers likewise. 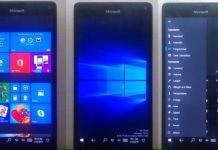 As of now, Progressive Web Apps(PWA) are the only way Microsoft can get more apps into the Microsoft Store. 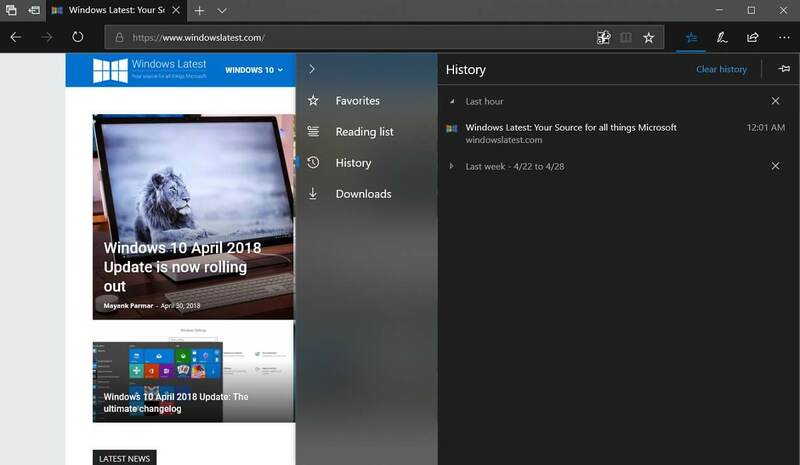 With Windows 10 April 2018 update, Microsoft has enabled PWA support in Edge browser. Progressive Web Apps (PWA) sits somewhere between web wrappers and native applications. PWAs are more powerful than web wrappers but less feature rich when compared to native applications. PWAs are actual websites but they look like apps. With this new update, Microsoft has enabled Service Workers in Edge browser. This allows external websites to send push notifications, background synchronization, save cache memory and work offline even when Microsoft Edge is not being used. Since websites are cross-platform so is PWAs so it will be easier for developers to make PWAs than standalone apps. They can also update these apps by updating their websites. 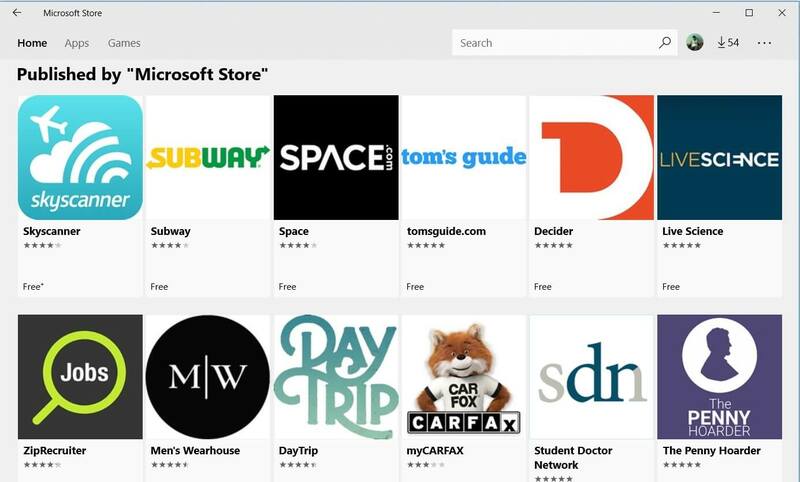 Even if developers are not bringing PWAs to the Microsoft Store, Microsoft will itself bring PWAs to Windows 10 Store by using Bing crawler to index selected quality PWAs. Since its launch, 2 years ago, Microsoft Edge has been criticized for not being as feature rich as rival browsers like Google Chrome and Firefox. But in the course of time, Microsoft updated Edge with new features and bug fixes. 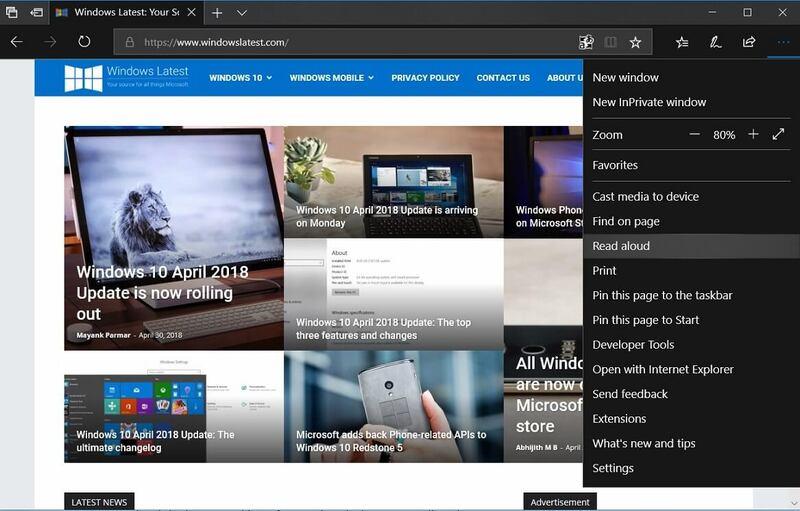 Like with all feature updates, Windows 10 April 2018 update also has some major features and improvements for Edge browser. Edge has now become more modern thanks to an improved user interface that showcases more instances of Microsoft Fluent Design language. 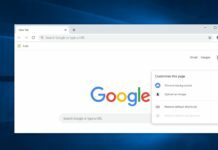 Hovering the mouse pointer over the address bar will now show Microsoft’s much loved Reveal and Acrylic effects which are a huge part of the Fluent Design system. Microsoft Edge now has a new Hub which is the place where we can see History, Bookmarks, Downloads and also Ebooks. Improvements include making these easier to view and also giving the option to pin a book from the library to the Start screen. When a new tab is opened, the favourites bar will now show up automatically if you have at least one favourite. The dark theme is now more contrasty and looks more pleasing to the eye. Edge has now got some intelligent features like remembering your name, address and credit card information linked to your Microsoft account so that Edge can automatically fill this information to websites wherever necessary. Edge now also support Extension in its InPrivate mode. If a tab has some audio playing in it you can choose to mute it by right-clicking the tab and choosing Mute Tab option. The full-screen option has received some minor tweaks which allow the user to see the navigation pane without leaving the full-screen mode by simply hovering the mouse pointer over the top of the screen. Clutter-free printing is now available in Edge browser which will allow users to print a webpage without any ads. Edge now has some nifty grammar tools which will break down sentences into nouns, verbs and syllables for easy understanding. This can be really useful for kids in their early ages. A lot of improvements has been brought to EPUB and PDF systems which have improved the reading experience. Light and dark themes are now available for both PDF and EPUB systems. Saving EPUB books are also now possible. Cortana has been available on all major platforms including iOS and Android so Microsoft has now added pick up where you left as the default suggestion instead of showing the usually suggested content such as the weather or what all Cortana can do. Cortana’s Notebook has received an update and now houses Organizer, Manage Lists and Collections option. 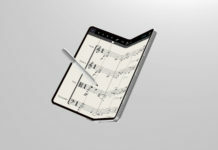 This will help a lot in synchronising tasks among devices which will eventually help the user become more productive. 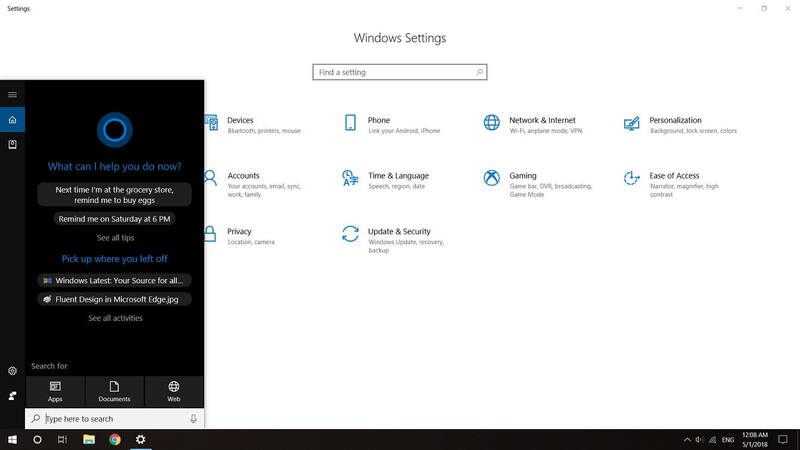 There is also a Skills tab which can be used to manage the different services that Cortana is linked to. Quiet Hours was a really useful feature which allowed users to mute notifications in a particular time interval. It has now been renamed to Focus Assist with the addition of a few new features as well. 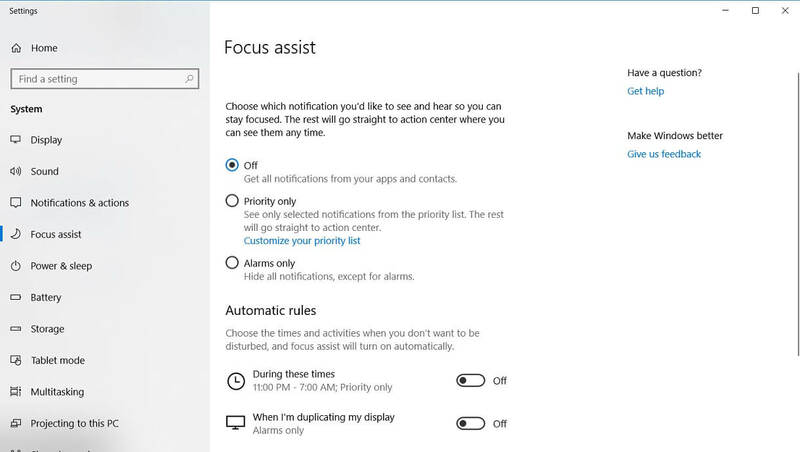 Focus Assist is available as a toggle in the Action Center just like it was for Quiet Hours. In order to set certain rules for Focus Assist, the users can go to Settings and find Focus Assist in under Display settings. There are automatic rules to enable Focus Assist at a particular time or when the display is being duplicated or when the user is playing a game or even when the user reaches home. Finally, Focus Assist will show a summary of all the notifications that you missed while you turned on Focus Assist. Fluent Design is Microsoft’s new design language and we saw the beginning of this in the last year. 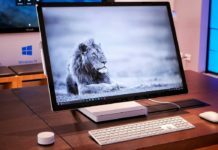 This design language requires years to be complete but Microsoft is slowly bringing it to different parts of the operating system. 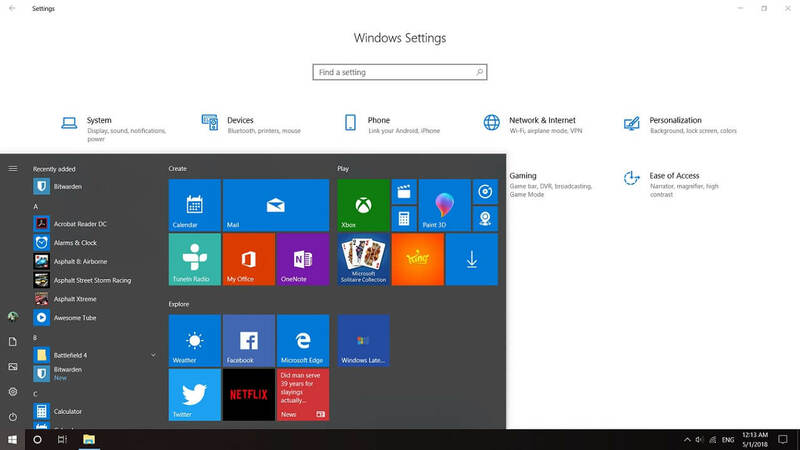 Now, Start menu has received this new design language. The reveal effect is now available in the Start menu. The calendar in the system tray will now show highlights while hovering over the days using the mouse pointer. These effects are now available in the Taskbar also. Acrylic and Reveal effects will now be disabled if the battery saver is turned off, probably because these effects consume a lot of battery life. Microsoft has long-term plans to completely get rid of the Control Panel by moving options in the Control Panel to the Settings app. 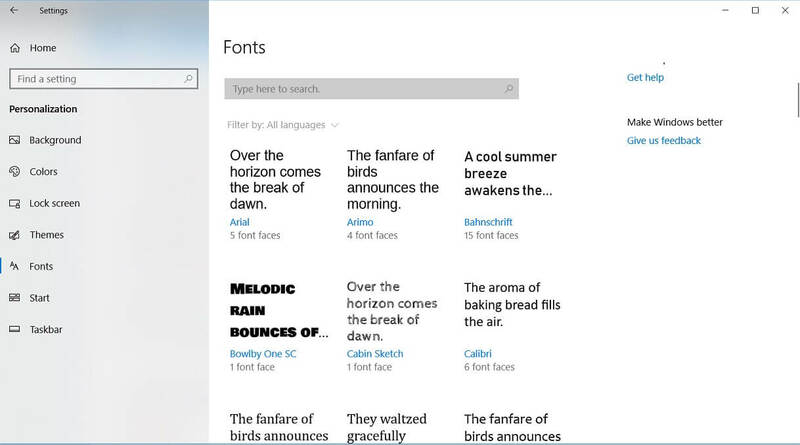 As a part of this, there is a new Fonts screen which can be accessed from Personalisation in Settings. 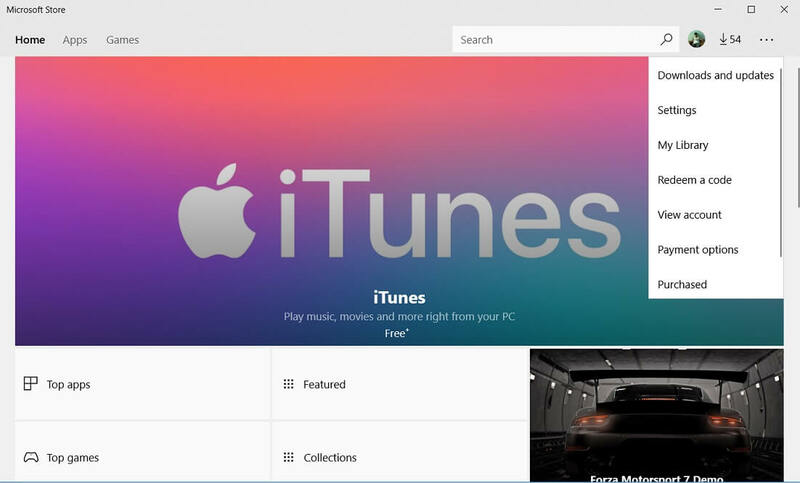 This screen will have a link which takes you to the Microsoft Store to download more fonts. This makes it more convenient to download and manage fonts. 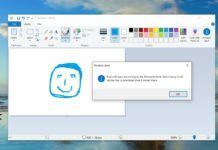 My People was launched with the Fall Creators update. It is now getting a much-needed feature and a few customization options. You can now drag and drop contacts from the My People to the taskbar which helps in arranging your contacts to any particular order you like. Fall Creators update allowed only 3 people to be pinned to the Taskbar but with the April 2018 update, up to 10 people can be pinned. This option can be found by going to Settings > Personalization > Taskbar. The people in the My People hub can now send animated emoji notifications. Windows will now suggest apps that you use the most to link with My People unfortunately only a very few apps support this feature. Language Packs can now be downloaded from the Microsoft Store. 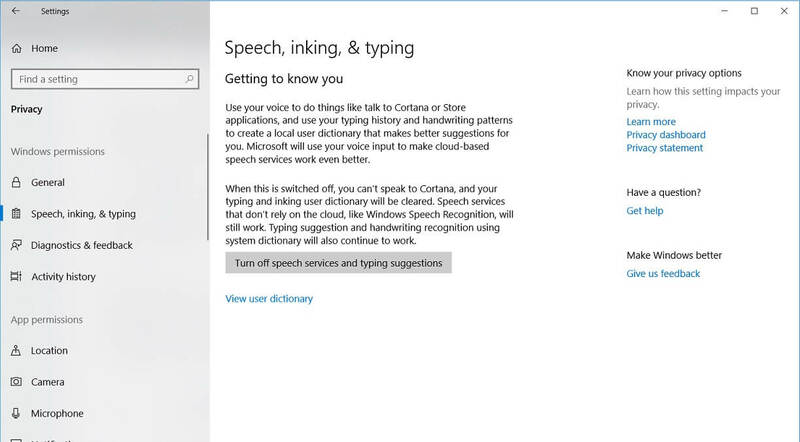 Language packs can be accessed from Settings > Personalization > Taskbar. Since Microsoft has started using Artificial Intelligence and Machine Learning for translations and other stuffs, the need to update language packs more frequently is high. Availability of language packs in the Store would make it easier to be updated often. Nowadays the market for convertible laptops and 2-in-1s are increasing so there are so many people who use the on-screen keyboard on their touchscreen devices. Aesthetically, the on-screen keyboard now looks better with its new Acrylic effects. Much like the Word Flow keyboard in Windows 10 Mobile, people can now slide their fingers over letters to type a word much faster. Typing more than one emoji is now possible. 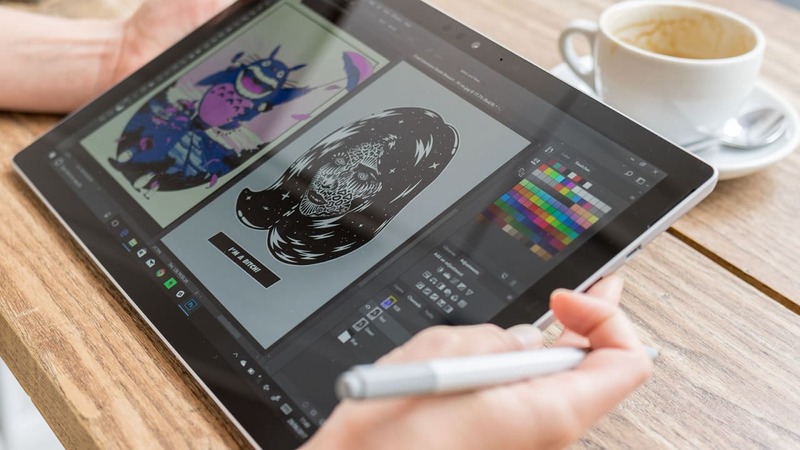 Microsoft has also made it easier for pen users as they wouldn’t have to open the on-screen keyboard and can directly write in the search bar or other spaces for input. Game bar is undoubtedly a really useful feature for gamers in general. 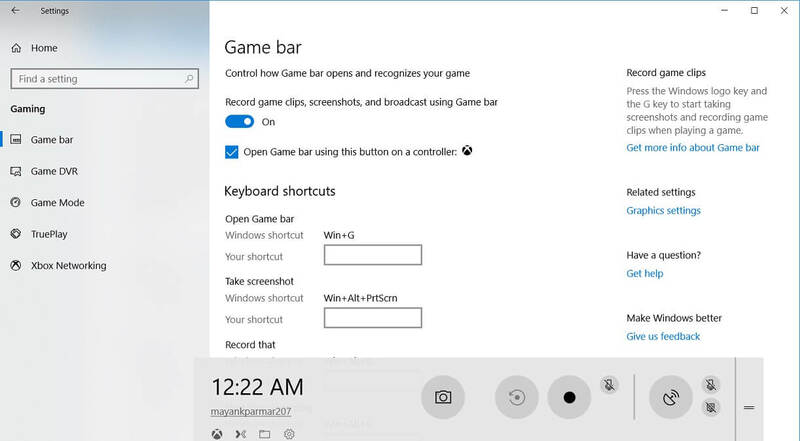 Many things which would only have been possible from a third party app was made possible with the Game Bar. With the April 2018 update, it now features the Fluent Design language. Dark and light modes are now available and there is a translucent effect where the users can actually see what is behind the Game Bar. The Xbox gamer icon is now replaced with the user’s profile name. Mixer profiles and a delay recording feature has also been added to the Game Bar. 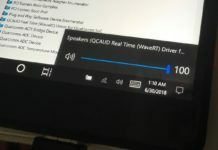 The Settings app now has more Reveal effects in the Fluent Design system. The icons for the system options are now smaller. Many settings from the Control Panel has been moved to Settings app including Sounds and Startup apps. 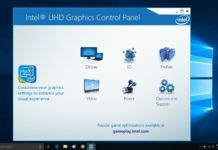 People who have PCs with multiple GPUs would now have the option to choose which GPU should be used for a particular app. Settings app now has the option to limit the download bandwidth for Windows updates. Bluetooth pairing is now faster with a new Quick Pair feature for Bluetooth peripherals. HDR support for video playback is now open for many more users. This means that users who have regular HD screens can now enjoy HDR content is supported applications like Netflix. Calibration for the same can be done in Video Playback options in the Settings app. Many users gave feedback that Microsoft collects a lot of data for diagnostic information and that too without the knowledge of the user. Microsoft is now changing this policy by providing a diagnostics data viewer in the Settings app. There is also an option to opt out of sharing typing and inking data collection. Windows 10 April 2018 update brings a lot of new features. The update will reach users in phases so it will not reach all users at the same time. Development of Redstone 5 is already happening and it will also bring a lot of new features. Have you upgraded to Windows 10 April 2018 update? What are your favorite features? Head over to the comments section and let us know.